Airconsole XL 2.0 Alere Adaptor is a specific long battery life model for connecting iOS devices to Alere Diagnostic equipment. 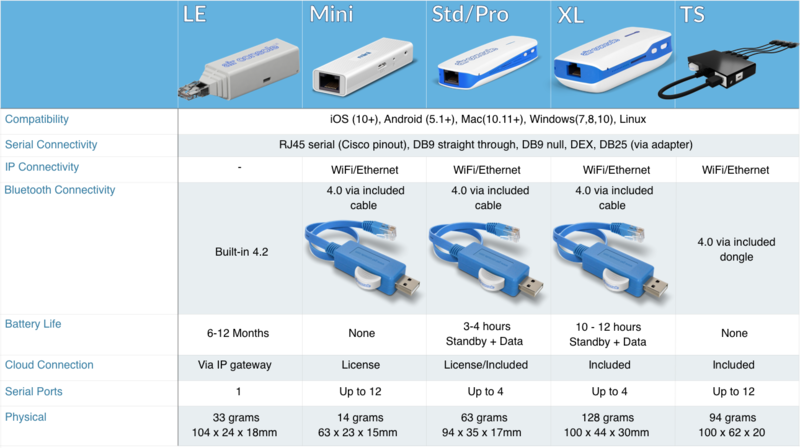 Based on our most popular Serial adaptor - with WIFI and Ethernet in a single package. 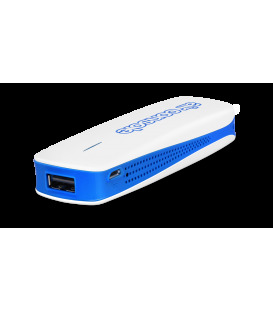 The Alere version includes everything needed to connect to the DB9 Serial Port on Alere Diagnostic Equipment. 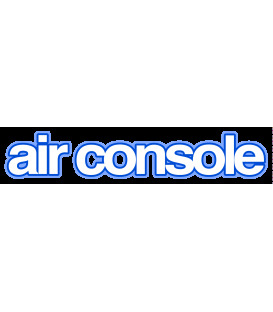 Our most cost effective offering - Use Airconsole 2.0 XL with iPhone, iPad, PC, Mac and Android. Airconsole is designed to work seamlessly with our iOS or Android applications (Get Console, RapidSSH or SerialBot along with specific Alere applications). Just enable bluetooth, or for higher speeds simply join the Airconsole WIFI network and launch the app - the serial connections will use the Airconsole as if using a cable - Baud rates, flow control, and other serial settings are transparently applied to the adaptors serial port immediately on connection. Airconsole 2.0 XL for Alere has built in support for sharing its serial port with remote web users via the cloud. Using our low cost Get Console Private Server (licenses included in Pro/XL kits), Aggregate many remote serial devices into an always-on cloud based serial terminal server - a single web interface can provide remote console access to any and all manner of industrial, networking, home automation equipment via their RS232 management ports. Airconsole 2.0 XL for Alere has a built in 4400mAh Lithum Ion battery which lasts for around 11 hours of continuous use. 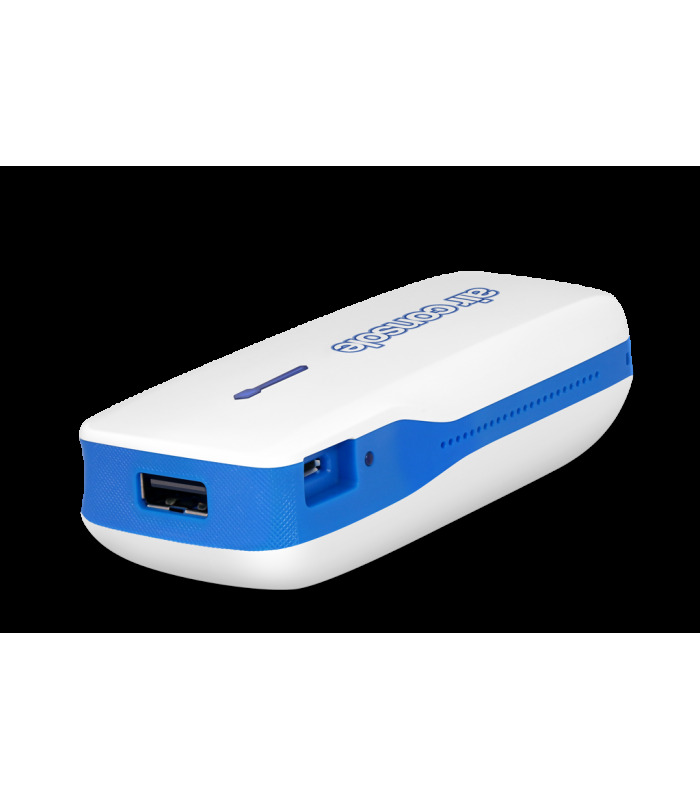 However switched off, the battery holds usable charge for at least 14 days, meaning its ready to work when you need it. In addition, the seperate micro-USB charging port can also allow for external power operation using the supplied micro-USB charging cable - simply find a spare USB port in the datacentre and power up. Charging to 80% takes just 45 minutes.